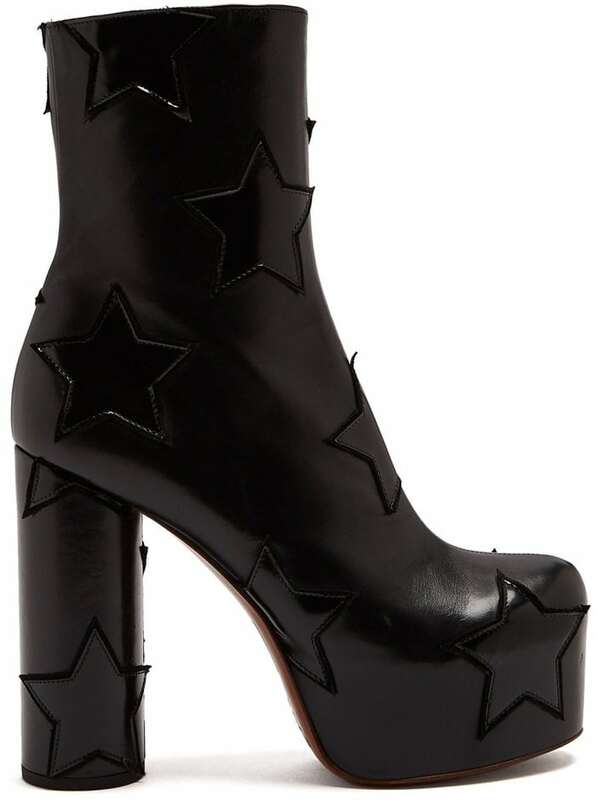 In addition to Manolo Blahnik’s Osaka stilettos, Dua Lipa rocked a pair of star-appliqué block-heel leather boots ($727 at Matches Fashion) to the 2018 Bambi Awards on Friday night at Stage Theater in Berlin, Germany. She picked up the Award for best International Music at the annual show presented by Hubert Burda Media. The 23-year-old English singer and songwriter styled them with Christopher Kane‘s gemstones blouse ($875 at Moda Operandi), fishnet stockings, and the same jewelry that she also wore earlier in the evening. 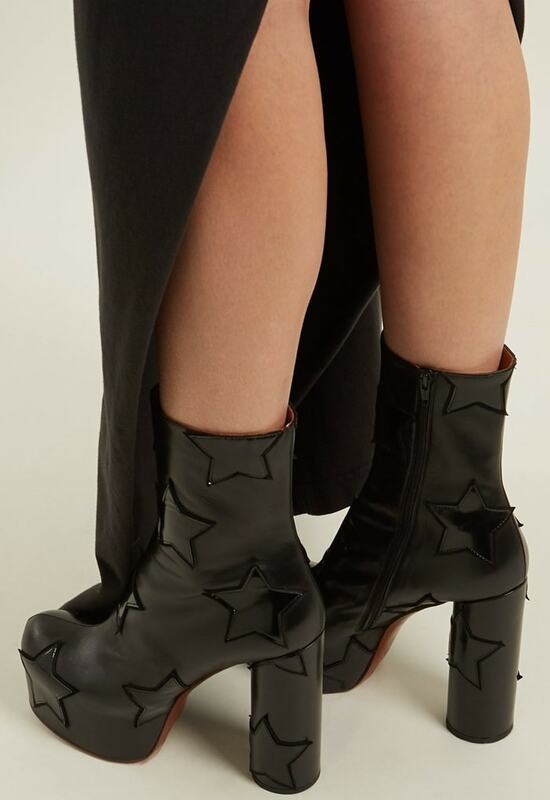 Chunky platform boots were a cult piece in Vetements‘s debut collection and appear again for AW17 reworked here in black leather with a 70s-style star motif. The label’s raw-hem denim will make the perfect match. 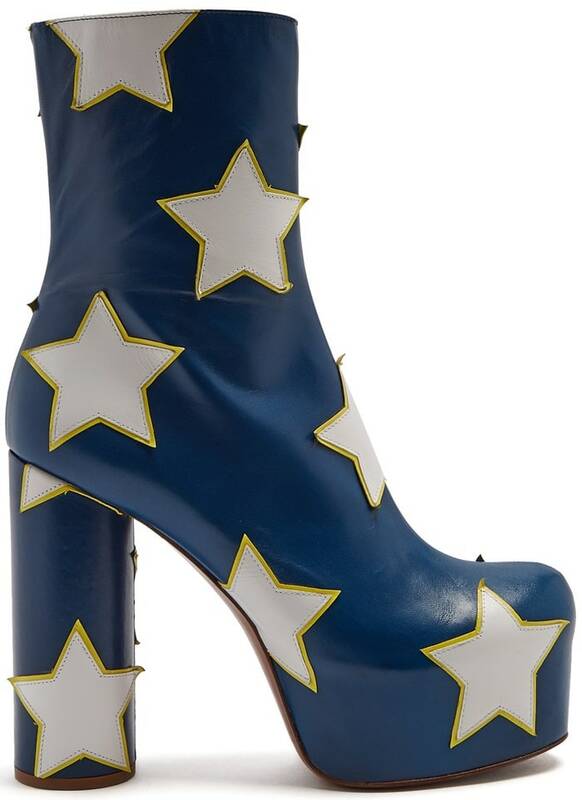 If you like her boots, we think you’ll also appreciate these admiral-blue platform ankle boots that are embellished all-over with yellow-trimmed white-leather star appliqués. 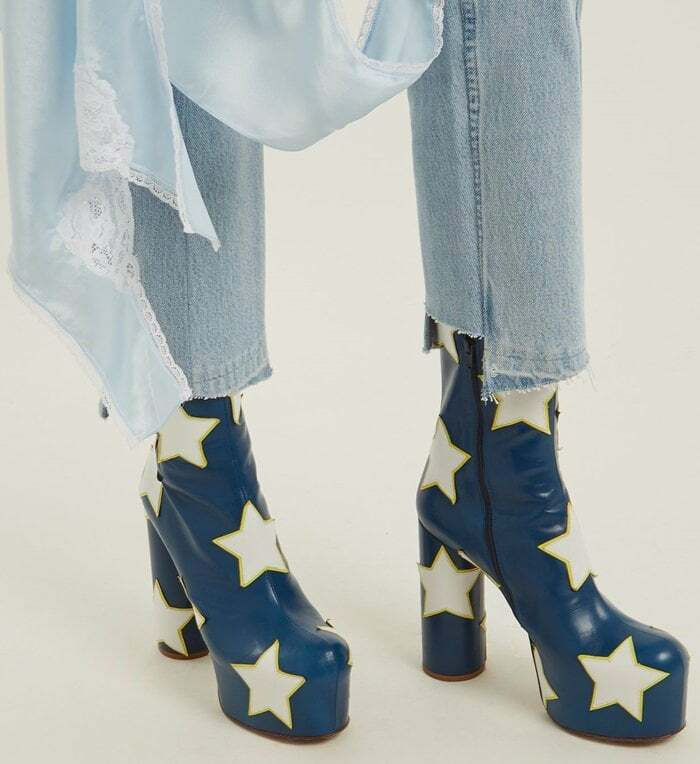 Made to a 1970s throwback shape with a high block heel and a rounded-toe shape, they’re perfect to complete a look built around the label’s deconstructed jeans. This lovely blouse is designed with long draped sleeves, a mock neck and gathered waistline.